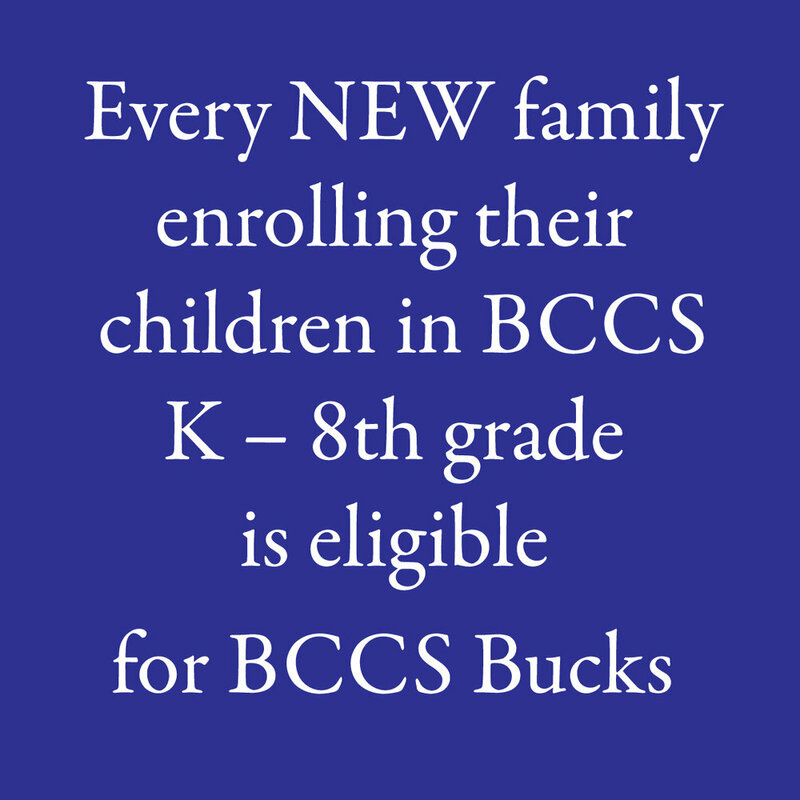 The BCCS Bucks Program is intended for families who meet the BCCS K-8 admissions criteria. Every NEW family enrolling their children in Byron Center Christian School Kindergarten – 8th grade is eligible for BCCS Bucks. For all families who choose to enroll their child in BCCS, we will deduct $500 from the second semester tuition of each child. When that family enrolls their child the following year, another $500 will be deducted from their tuition bill, also in the second semester. An application must be filled out to receive BCCS Bucks!